Dubai is an ideal holiday destination for families, with theme parks, beaches, Friday brunches and more to keep everyone happy. Here are five things that first-time families should not miss while on a stopover in Dubai. While few would argue that skydiving isn’t one of the most exhilarating activities in the world, it’s not an activity one would deem ideal for children. 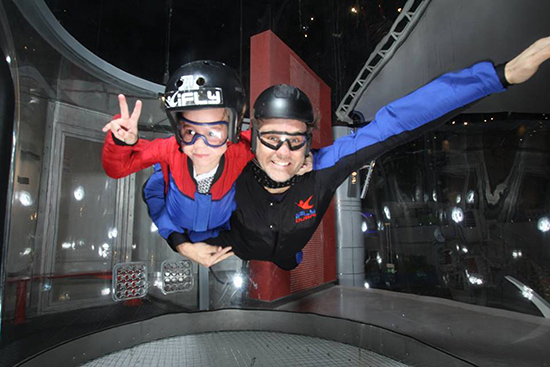 However, at iFLY Dubai at Mirdif City Centre, children and adults get the chance to experience the thrill of sky diving in safety without ever going any more than three meters from the ground, with the facility’s technologically advanced vertical wind tunnel. Absolutely anyone can try it, which makes iFLY a fun experience that the whole family can enjoy. Dubai is famous for its sun, sea and sand, and no family stopover would be complete without a visit to one of the city’s famous beaches. Jumeriah Beach Residence is well established as Dubai’s most popular beachfront, and its close proximity to a whole host of restaurants, cafes and shops make it more than worthy of its status. As if the area didn’t already have enough facilities handy, the recent development – simply called, The Beach – has added even more dining and shopping options, as well as some public bathroom facilities and even a mini children’s water park. It may be difficult to believe, but in among the arid Dubai desert, a sprawling garden filled with greenery and flowers can be found – a real-life oasis in the otherwise harsh desert environment. Sitting just a few minutes’ drive out of the main city, Dubai Miracle Garden already features more than 45 million blooming flowers, and has aims to become the world’s biggest flower garden. For those who thrive on nature’s bounty, this is very much the place to be. 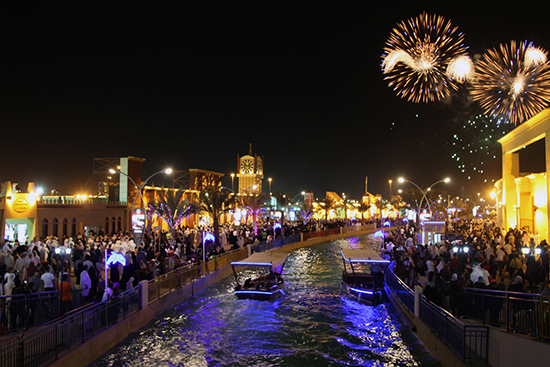 Open throughout the cooler autumn, winter and spring months, Global Village is one of Dubai’s top family entertainment venues, comprising 31 pavilions each representing a different country. In the pavilions, myriad dining and shopping options can be found, with trinkets and treats from all corners of the globe on offer. And entertainment-wise, street performers and special stage shows provide plenty of thrills and spills. Located in the luxurious Jumeirah Beach Hotel, sitting on the resort’s private beach under the shadow of the iconic Burj Al Arab, Beachcombers has to be one of the most prime-location restaurants anywhere in Dubai. Serving a stunning menu of Pan-Asian seafood, it would be quite understandable if the restaurant was reserved only for the city’s serious foodie elite, but the best thing about this place is that children are very much welcome – especially to the Friday and Saturday brunches, which have children’s buffet and play areas and dedicated entertainers to keep the little ones amused.